Facial paralysis can impact individuals of all ages. Luckily, facial reanimation surgery often proves to be a viable option to treat facial paralysis, regardless of an individual’s age. 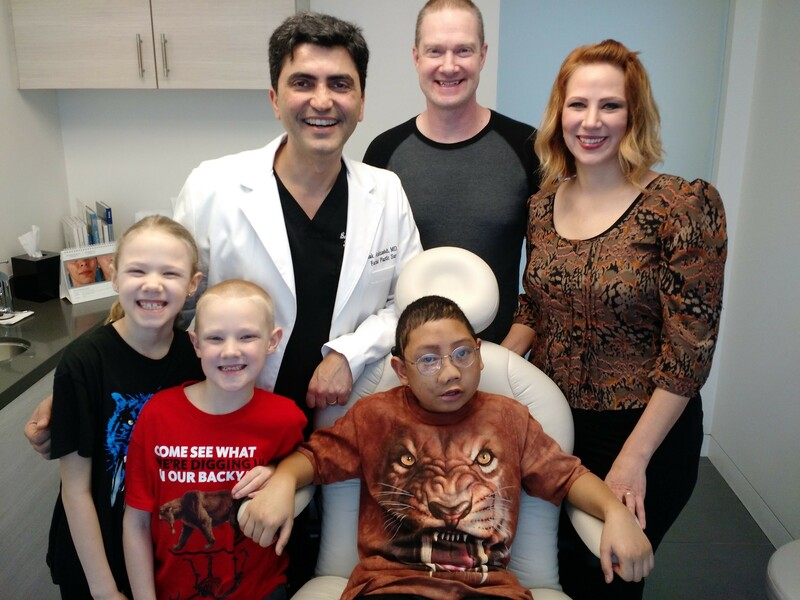 Recently, globally recognized facial plastic and reconstructive surgeon Dr. Babak Azizzadeh helped Ryder Reddig, an 11-year-old boy from the Philippines with facial paralysis as a result of a facial tumor. According to WABC-TV, Ryder was born with a disfiguring tumor. The bones of Ryder’s skull did not close completely, and Ryder only was able to smile half way. Sadly, at age five, Ryder was abandoned by his mother and was taken in to an orphanage. He underwent surgery to remove his tumor, which left him with facial deformities. Upon adopting Ryder, his adoptive parents considered facial plastic and reconstructive surgery and reached out to Dr. Azizzadeh and the Facial Paralysis Institute for support. Dr. Azizzadeh said he will perform multiple surgeries to treat Ryder’s facial paralysis, including a gracilis muscle transplant. What Is a Gracilis Muscle Transplant? A gracilis muscle transplant involves the use of the gracilis muscle, which is located on the inner portion of the thigh. The procedure is designed to help individuals who have been dealing with facial paralysis for two or more years. During a gracilis muscle transplant, Dr. Azizzadeh will move a portion of the gracilis muscle to the face. In addition, the small segment of the transplanted gracilis muscle will be attached to a cross-facial nerve graft. 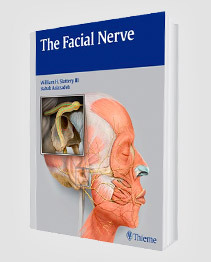 An incision will be made on the side of the face, and the sural nerve graft will be visualized. At this point, the local blood supply is identified for grafting of the gracilis muscle. A portion of the gracilis muscle is harvested from the right thigh, including its nerve and blood supply. The gracilis muscle is sutured in front of the ear and to the corner of the mouth. The sural nerve graft is attached to the gracilis muscle and blood supply. 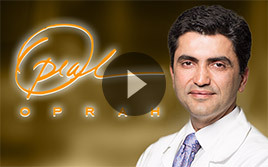 Dr. Azizzadeh uses microsurgical techniques for best results. 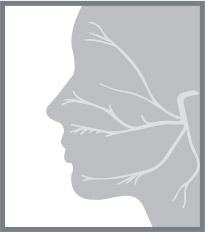 A gracilis muscle transplant has been shown to help facial paralysis patients improve facial reanimation and symmetry. Conversely, it is important to note that not every facial paralysis patient may be an ideal candidate for the operation. To find out if you are a candidate for a gracilis muscle transfer, Dr. Azizzadeh will need to perform a comprehensive evaluation. 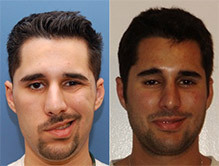 In some cases, Dr. Azizzadeh will determine that other facial reanimation cases will better suit the patient’s needs. How Will a Gracilis Muscle Transplant Help Ryder? Ryder and his family are hoping the gracilis muscle transplant will help him overcome his facial paralysis and allow him to smile again. With support from Dr. Azizzadeh and The Facial Paralysis Institute, Ryder will soon have plenty of reasons to smile.